Bitcoin Diamond is a Fork of Bitcoin. The main difference is the increasing of block size to 8Mb and the supply by factor 10. Bitcoin Diamond (BCD) operates on its own blockchain. BCD is minting through the mining process. The total supply of Bitcoin Diamond that will ever be issued is 189.49 Million coins, and the current supply of BCD in circulation is 186.49 Million coins. 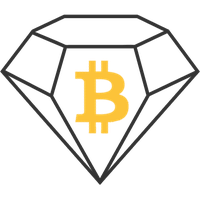 Current Bitcoin Diamond price is $ 1.06 moved up to 1.53% for the last 24 hours. All time high (ATH) price of Bitcoin Diamond reached $ 209 on 13th Jan 2018 and fallen -99.5% from it. Bitcoin Diamond's share of the entire cryptocurrency market is 0.11% with the market capitalization of $ 198.47 Million. Bitcoin Diamond’s 24 trading volume is $ 6.68 Million. It is trading on 33 markets and 19 Exchanges . Find more details about Bitcoin Diamond cryptocurrency at the official website and on the block explorer. Bitcoin Diamond price Index provides the latest BCD price in US Dollars, BTC and ETH using an average from the world's leading crypto exchanges. The Bitcoin Diamond to USD chart is designed for users to instantly see the changes that occur on the market and predicts what will come next. Bitcoin Diamond (BCD) is a fork of Bitcoin that occurs at the predetermined height of block 495866 and therewith a new chain will be generated as the BCD. Bitcoin Diamond miners will begin creating blocks with a new proof-of-work algorithm, and will consecutively develop and enhance the protection for account transfer and privacy based on original features of BTC. This will cause a bifurcation of the Bitcoin blockchain. The original Bitcoin blockchain will continue unaltered, but a new branch of the blockchain will split off from the original chain. It shares the same transaction history with Bitcoin until it starts branching and coming into a unique block from which it diverges. As a result of this process, a new cryptocurrency was created which we call “Bitcoin Diamond”.